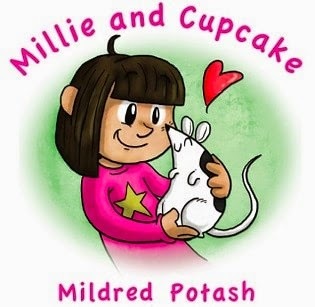 Today we are interviewing Mildred Potash, author of the children's book Millie and Cupcake. My name is Mildred Potash. I am from Brooklyn, New York. I have always loved animals since I was a child. My very first pets were two rats, and during my life I have enjoyed the companionship of hamsters, guinea pigs, two ferrets, a cat and dogs. My appreciation of the warmth and intelligence of rats inspired me to write this book. I earned my associates degree in arts and now I will receive my bachelor's degree in multimedia. Describe the plot of your book, Millie and Cupcake, in a few sentences. The Story of a Girl and Her Wonderful Pet! For many children, the experience of bonding with and loving a first pet is an unforgettable time in their lives. Millie and Cupcake is the charming and educational story of a girl and her companion animal ... a different animal than many kids think of when choosing a pet. Cupcake is a rat, and readers will be enchanted as they learn what rats are really like: clean, loving, highly intelligent, trainable personalities who add immeasurable value to people's lives. Follow along with Millie as she learns how to take care of her sociable, curious, and affectionate best friend. Who do you think would most appreciate Millie and Cupcake? Small kids and people that love animals. What inspired you to write a book that addresses stereotypes associated with rats? 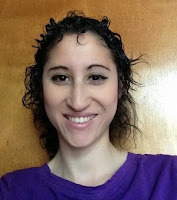 My pet rat Cupcake inspired me to write this book. Tell us a bit about the protagonists, Millie and Cupcake. Millie is shy and she loves animals just like myself. She becomes best friends with her new friend cupcake. Why do you think there are so many negative stereotypes associated with rats? A major theme of your book is companionship between humans and non-humans. What are some benefits you’ve experienced from your own relationships with animal friends? I have experienced the unconditional love and strong bonds from my pet rats. Each one has their own special personality. They are great pets. I started writing for two years now. ebooks are good but I prefer the physical book. I write my ideas down on paper first and then I use the computer. I use paper first so I don't forget my ideas. The second part of Millie and Cupcake is in the process of being published. I also have some mini series lined up. My book is a cute story with good messages. It is about family, love, and friendship.